6: MISASA Best of the Best Wings Wheels Water showcase. Postponed new date to be advised. 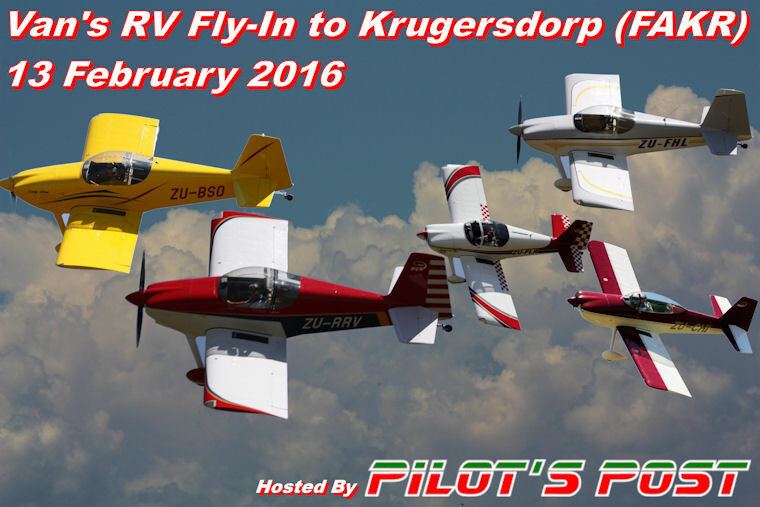 13: Pilot's Post RV breakfast fly in Krugersdorp. 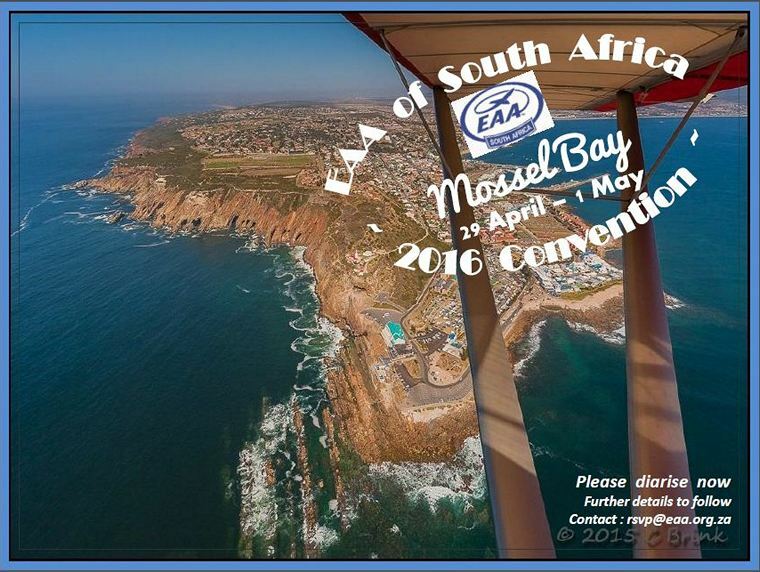 29: EAA National Convention, Mossel Bay. 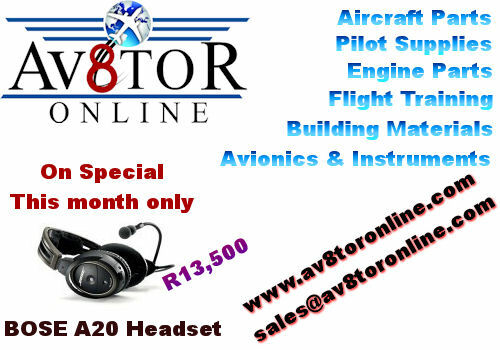 Pilot's Post has a vacancy for a commission based advertising Sales Consultant. 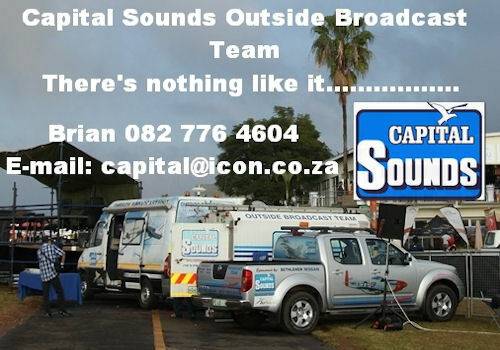 The position is ideal for a self-motivated person with a marketing and preferably aviation background. 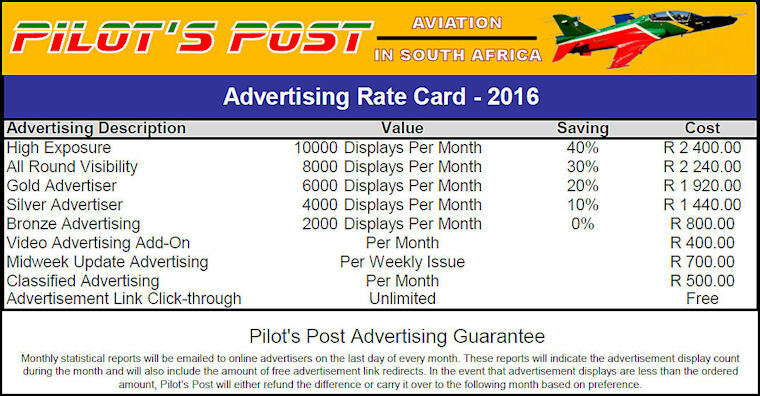 The successful candidate's main responsibilities will be the marketing of advertising space on www.pilotspost.com . Should you not receive feedback within 14 days of your application please consider your application unsuccessful. 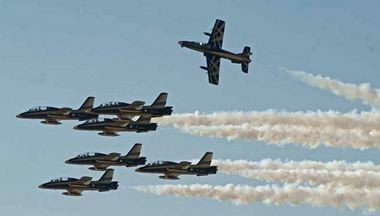 The organisers of the Bahrain International Airshow today confirmed that the Bahrain International Airshow will see its strongest international presence to date reflecting the event's growing standing in the global aviation event calendar and cementing strategic relations between key nations. Taking place from 21st - 23rd January 2016 at Sakhir Airbase, the show will see representation from the US, UK, France, India, Russia and Turkey. Furthermore, the high level aviation event will also see more participation from MENA states, with the largest participation yet from the Kingdom of Saudi Arabia, from which numerous companies including Saudi Arabian Airlines will be joining for the first time, alongside Kuwait Airways, Emirates and previous attendees Qatar Airways. Multi-national organisations to date include Airbus, BAE Systems, Boeing, Chevron, CFM, Finmeccanica, Lockheed Martin, Rolls Royce, Turkish Aerospace Industries, TAG Aeronautics and Thales Group. Speaking about the growing international participation, His Excellency Engineer Kamal bin Ahmed Mohammed, Minister of Transportation and Telecommunications for the Kingdom of Bahrain and Deputy Chairman of the Supreme Organising Committee for BIAS said, "The Bahrain International Airshow is a real platform for trade and business. With so many countries represented, it allows businesses to bolster and build new partnerships. With the value we bring through our extensive delegations programme we offer all our participants the opportunity for extensive networking and discussion." Amanda Stainer, Commercial Director for Farnborough International Ltd, added, "With the show just a few weeks away, we are delighted at the positive response to the event. All our Chalets are now sold and just one space remaining in the exhibition hall. The Delegations programme is also very strong with 34 countries represented from 75 delegations. 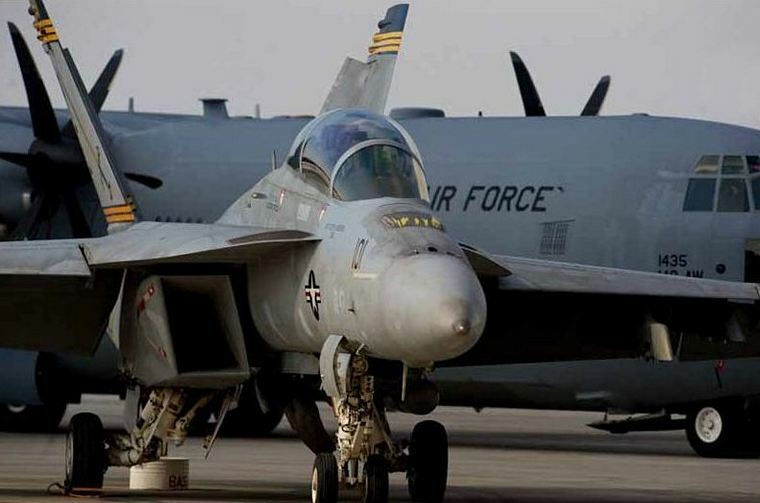 Aircraft participation now stands at over 100 aircraft including the Russian Knights, two Eurofighter typhoons, a T129 ATAK helicopter for Turkish Aircraft Industries, and an F-22 from the USAF to name just a few". Pipistrel announced that it signed the World's largest single contract about the delivery of light aircraft with the Indian Armed Forces. Pipistrel emerged as the winner to supply 194 aircraft to the Indian Air Force (IAF), Indian Navy (IN) and National Cadet Corps (NCC). 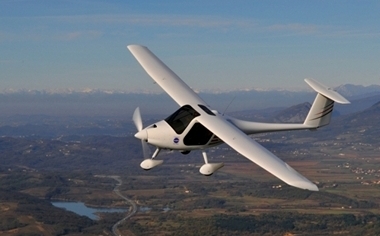 Globally renowned light aircraft manufacturer with 26 years of aircraft design and production experience will equip Indian Air Force (IAF), Indian Navy (IN) and National Cadet Corps (NCC) with its modern, carbon-fibre Microlight aircraft Virus SW 80 "GARUD", as a result of "Request for Technical and Commercial Proposal (RFP) for Microlight Aircraft. Pipistrel was selected as the winning bidder in the tendering competition among eleven international Original Equipment Manufacturers / Authorized Vendors. Pipistrel's CEO Mr Ivo Boscarol says: "With more than a quarter of century experience in the field, Pipistrel makes the ideal partner to IAF, IN and NCC. Our Virus SW 80 "GARUD", which was carefully configured to suit and fulfil the requirements of all ordering parties, is a culmination of advanced design, state of the art composite construction and modern digital avionics, forming a 21th century basic trainer solution any operator would envy. I am proud and delighted that our product emerged as the winning proposal amongst fierce international competition and I look forward to learning about many new pilots that will have taken to the skies in the "GARUD". 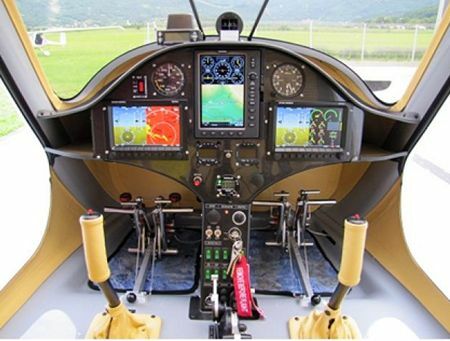 The design chosen by the respective Indian parties is a two-seat trainer, capable of take-off and landing on prepared as well as semi-prepared surfaces. Made from advanced carbon-fibre composite materials it is capable of carrying 2 crew members and their equipment. The aircraft is powered by an 80 HP aviation certified engine and can reach a maximum speed of more than 220 km/h, fly for more than 3 hours and climb to altitudes in excess of 6000 meters. 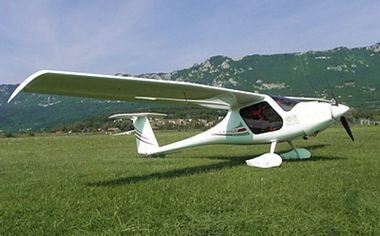 As a testament to safety, Pipistrel equipped the aircraft designed to be used for training of Flight Safety and Air Wing Cadets with a special a Ballistic Parachute Rescue System and several other safety enhancing features, such as Energy Attenuation Seats and a KevlarTM reinforced cockpit cell. Pipistrel's Virus SW 80 "GARUD", named after a bird that appears in Hindu mythology and is the mount of the god Vishnu, was thoroughly tested. All the aircraft participating in the tender were tested in the extreme Indian conditions such as high temperature and humidity, extreme altitudes and similar. "Garud" had successfully cleared all the evaluations at the Field and Maintainability Evaluation Trial. Ivo Boscarol, the General Manager and owner of Pipistrel, signed a Delivery Contract for 194 aircraft today in New Delhi, India, with the representatives of the Indian armed forces. This is without a doubt the largest contract in the entire 26-year history of Pipistrel. We will produce either 6 or 7 aircraft each month for the Indian Army. This means that for the next two and a half years, half of Pipistrel's production capacity is sold out, said Boscarol after signing the contract. After the Garud had been chosen for technically the best and most suitable among all the applicants and after the final price had been determined, it took over two years of negotiating all the details of the contract. Pipistrel will begin with the deliveries to more than 100 locations all over India in 8 months' time. 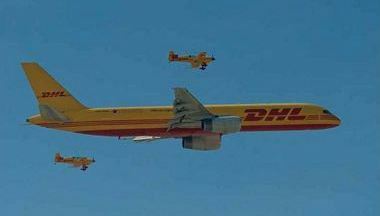 All 194 aircraft must be delivered within a period of thirty months after the first delivery. The contract also binds Pipistrel to deliver a further 100 aircraft after the third year, should the buyer want so. All together this means that Pipistrel will produce almost 300 aircraft. To ensure smooth and uninterrupted operation of the "GARUDs", Pipistrel will equip IAF, IN and NCC with spare engines, ground support equipment and tools, special multi-year spare parts packs, extended 10-year product support, as well as train a large number of aircrew, instructors and technical staff. The Indian personnel will be trained by a Pipistrel's partner company from Slovenia, the �Pipistrel Academy� which trains pilots and new instructors. They will teach pilots how to fly the new aircraft and prepare the Indian instructors to perform further education themselves. Pipistrel will also train the mechanics, which will then provide continuous technical support and regular maintenance of the aircraft. Pipistrel will not need to need to compensate sales with any offsets nor will they have to produce or assemble the aircraft in India. 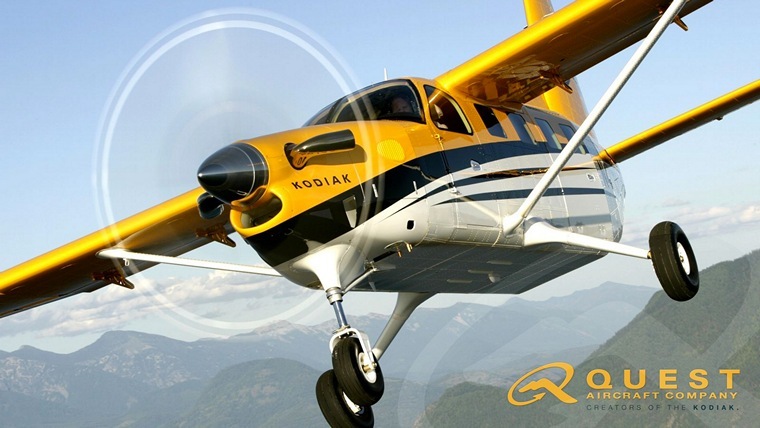 Quest Aircraft Company has named Aeroservicio as its authorized KODIAK sales representative for Chile, effective January 1, 2016. Based in Santiago, Chile, Aeroservicio has over 50 years of experience in the aviation industry. "We are very pleased to partner with a company with such solid experience in aircraft sales as well as strong relationships with customers in the region," said John Hunt, Vice President of Sales for North, Central and South America. "The KODIAK is well-suited for a wide variety of operators in Chile and the surrounding countries, and the addition of Aeroservicio will enhance our marketing efforts in this market." Over the last few years, Quest has built a network of seasoned, well-respected organizations strategically placed around the globe to take full advantage of evolving market opportunities for the KODIAK. The company also continues to certify the KODIAK in key countries worldwide, and will begin working toward Chilean certification. The KODIAK currently has received 21 certifications covering 31countries. "With its outstanding versatility and performance, the rugged KODIAK will be of great interest to many of our customers," said Willem-Jan Derks, CEO of Aeroservicio. "We look forward to working with Quest and representing the KODIAK." The KODIAK's rugged aluminium construction combines superior STOL performance and high useful load. With powerful turbine performance, the aircraft has the ability to land and take off from unimproved surfaces and is capable of working off floats without structural upgrades. The KODIAK can take off in under 1,000 feet at full gross take-off weight of 7,255 lbs. and climb at over 1,300 feet per minute. 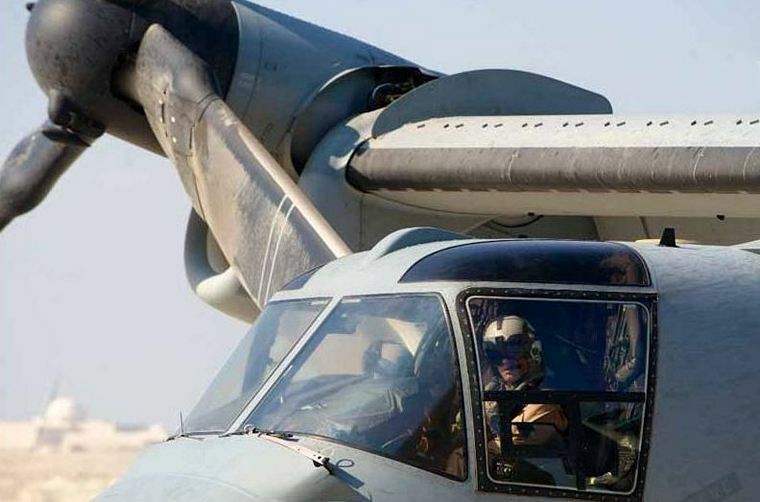 KODIAKs are in operation around the world in over 20 countries in key market segments including personal use, Part 135 operations, government and humanitarian organizations. The KODIAK has received 21 certifications covering 31 countries, with several additional certifications imminent. The MVP world tour continues with its first public showing in Florida at the Sebring Expo. The MVP's unique transformation ability will be demonstrated live with the camping and fishing configurations. MVP has also set up a new show room at the Spruce Creek Fly-in community that will be the home of our full size mock-up and engineering briefing display for the months to come. Currently by invitation only. The MVP's most compelling feature is that it transforms into a versatile floating platform. The canopy moves upwards and back on a 4-bar link to sit atop the engine pylon. This frees up the nose of the MVP to resemble the front of a classic bass-type fishing boat. With the canopy open, the MVP's engine can be run so as to continue to shore or dock, or to motor along to the next cove or fishing spot. 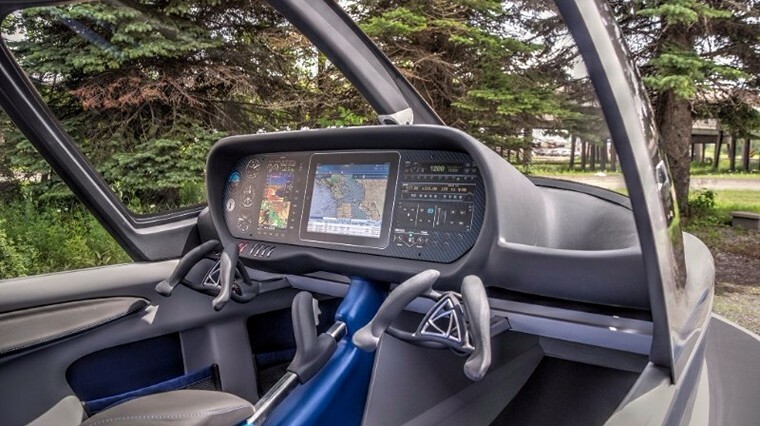 This configuration also enables a passenger to step up onto the forward deck to assist in docking and beaching duties. Excellent stability of the hull keeps the MVP relatively flat as both occupants move about. And to create the perfect fishing or observation perch, either seat can be repositioned onto a pedestal up on the forward deck. Jeff "Roach" Rochelle is a fighter pilot turned businessman with over 4500 hours in the F-16 Fighting Falcon. "Roach" is an Aeronautical Engineering graduate of the US Air Force Academy, a graduate of the Air Force "Top Gun" Fighter Weapons School and has a Master's Degree from Embry Riddle Aeronautical University. His pedigree includes a tour with the Thunderbirds aerial demonstration team. Jeff joins MVP after over 11 years with Lockheed Martin Aeronautics fielding the latest technology in the F-16. Now the founder of an Aviation company flying the Eclipse jet, and Extra aerobatic aircraft, Jeff brings MVP Aero over 40 years of aviation experience as a pilot, engineer and businessman. Jeff's unique abilities will be put to work on both the MVP Technical Team and the MVP Business Development Team. 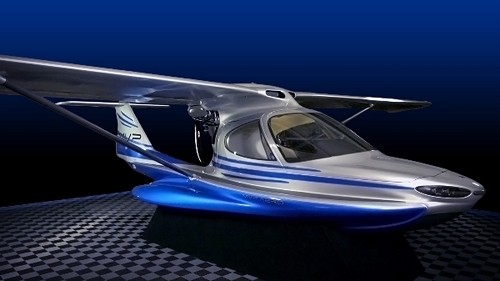 Jeff said," The MVP uses brilliant engineering to make the world's safest and most useful seaplane! The discerning pilot will appreciate this aircraft." The French Defence Procurement Agency (DGA) has ordered six additional NH90 helicopters in tactical troop transport (TTH) configuration, bringing the total amount of NH90 TTHs on order for the French Army Aviation to 74. "The French armed forces have deployed the NH90 operationally in Mali where its outstanding endurance, versatility and manoeuvrability have been greatly appreciated", said Guillaume Faury, President and CEO of Airbus Helicopters. "This additional order for six NH90s, to be delivered in 2017 - 2019, confirms the essential role that new-generation multirole helicopters play in modern operations" he added. Combat-proven since 2010, the NH90 TTH has been successfully deployed by several countries in different theatres of operation. With a wide modular cabin, large sliding doors on each side and a rear ramp, the NH90 can be rapidly configured for such missions as troop transport with a 20-seat configuration, light vehicle transport, casualty evacuation with 12 stretchers and cargo airlift with standard NATO pallets, armed tactical transport, as well as combat search and rescue. An extensive list of role-tailored equipment allows the NH90 to fit operators' mission needs. The NH90's 4-axis autopilot and fly-by-wire controls contribute to safety and maximum flight performance in severe operating conditions. The NH90 is the first serial helicopter in the world to be equipped with fly-by-wire technologies, significantly reducing pilot workload and allowing for this state-of-the-art helicopter to be piloted with ease. To date, around 270 NH90 have been delivered to 13 countries and have logged nearly 100,000 flight hours, confirming the success of this helicopter on the export market. U.S Air Force B-52 bombers can now deliver a greater variety of munitions thanks to enhanced internal weapons bay launchers delivered by Boeing. 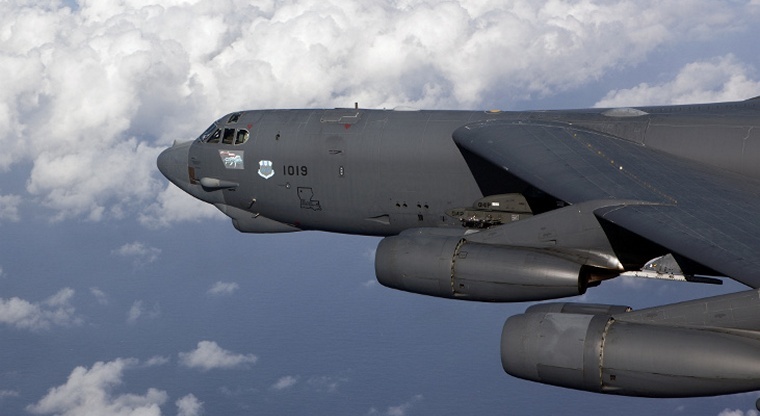 Six of the U.S. Air Force's B-52 bombers can now take flight with a greater variety of weapons, thanks to enhanced internal weapons bay launchers delivered by Boeing [NYSE: BA]. The upgraded launchers allow the B-52 to carry GPS-guided or "smart" weapons in the weapons bay for the first time and are ready for use. "The upgrades to the B-52 bomber's internal weapons bay have made it possible to have zero gap on the bomber's long-range bombing capabilities as we transfer from Conventional Air Launched Cruise Missiles to Joint Air-to-Surface Standoff Missile - Extended Range," said Col. Tim Dickinson, B-52 Program Director with the U.S. Air Force. The enhancement modifies an existing common strategic rotary launcher in the internal weapons bay into a conventional rotary launcher and increases the total number of smart weapons the B-52 can carry and deliver, giving crew members greater flexibility to adapt to changing conditions on the battlefield. The launchers, which can be moved from one bomber to another, can carry, target and launch eight Joint Direct Attack Munitions. Future increments of the weapons bay launcher upgrade program will add the capability to carry Joint Air-to-Surface Stand Off Missiles and Miniature Air Launched Decoys. "With this added capability, the B-52 bomber will remain relevant for decades to come," said Jeff Lupton, Boeing's B-52 Internal Weapons Bay Upgrade program manager. "Our commitment to providing our USAF customer with uncompromising service enabled us to successfully deliver these launchers on an accelerated schedule." These deliveries follow several months of successful ground and flight testing of the launchers and support the U.S. Air Force's accelerated schedule to complete the first stage of the upgrade program - low rate initial production. Poland's public air medical rescue operator LPR (SP ZOZ Lotnicze Pogotowie Ratunkowe) has received four new H135 (formerly known as EC135P3) helicopters to extend its Helicopter Emergency Medical Services (HEMS) operations in Poland. This latest delivery brings the total H135 LPR fleet to 27 units. Prior to this on-time and on-quality delivery of four new H135s, an intensive technical acceptance process took place in December 2015 at Airbus Helicopters' Donauw�rth site in Germany. All helicopters were subsequently transferred to the main LPR base in Warsaw. The total fleet of 27 H135 helicopters is now fully operational with LPR, representing a major step in the modernization of the country's helicopter-based medical evacuation services and making Poland one of the world's largest users of this helicopter in its new-generation EMS configuration. "Airbus Helicopters is committed to providing Poland with state-of-the-art and reliable helicopters to carry out emergency service duties" said Mickael Peru, Managing Director at Airbus Helicopters Polska. "We also ensure that these aircraft can be autonomously maintained in-country and in full accordance with the operator's requirements. This latest delivery is yet another example of the excellent cooperation with our Polish customer and demonstrates once again our ability to fulfil all our contractual obligations", he added. Sweden, Stockholm: Swedish airports were on high alert last week after security staff at Sweden's Stockholm-Skavsta airport detected traces of an explosive powder on a suitcase belonging to elderly Swedish lady. The baggage and departure halls of the airport were cordoned off and a bomb squad from Stockholm combed the scene. Flights were allowed to arrive but departing flights were halted until the bomb squad removed the suspicious bag. USA, Hawaii: There was a scare in the air for 128 passengers aboard a Hawaiian Airlines flight when a light indicated there was smoke in the cargo area. The plane was on the way to Maui from Honolulu. When firefighters checked the cargo area, two bags appeared to be damaged by an e-cigarette in a passenger's checked luggage. Smoking of e-cigarettes is forbidden and so is the check in of e-cigarettes in hand luggage. On August 9, 2014, at Boston's Logan Airport, an e-cigarette in a passenger's checked bag caused a fire on a plane that forced an evacuation of the plane. Also, on January 4, 2015, at LAX, a checked bag was found to be on fire in a baggage area. The cause was an overheated e-cigarette. USA, Miami: A flight attendant has been hospitalized and five passengers suffered apparently minor injuries after an American Airlines Boeing 737 ran into turbulence over Florida less than an hour from Miami. Seatbelt lights were on at the time. The flight was carrying 159 passengers and six crew members. Five passengers were checked by paramedics and released whilst a flight attendant was taken to a hospital to have an injury to her nose checked out. January 20 1974 - First 'accidental' flight of the General Dynamics F-16 Fighting Falcon, US multirole jet fighter aircraft, during a high-speed taxi test. While gathering speed, a roll-control oscillation caused a fin of the port-side wingtip-mounted missile and then the starboard stabilator to scrape the ground, and the aircraft then began to veer off the runway. The GD test pilot, Phil Oestricher, decided to lift off to avoid crashing the machine, and safely landed it six minutes later. January 20 1916 - The first airship raid on Britain. Zeppelins of the Imperial German Navy Airship Division dropped bombs on Great Yarmouth and King's Lynn, Norfolk, killing 5 people. The RFC flew its first ever night sorties against the raiders, but two aircraft failed to intercept. January 21 1976 - Introduction of the Concorde. January 21 1970 - The Boeing 747 makes its first commercial flight from New York to London for Pan American. January 21 1951 - The U. S. Air Force F-84 Thunderjet makes its first kill, when F-84 pilot Lieutenant Colonel William E. Bertram shoots down a MiG-15 during the Korean War. January 21 1951 - First non-stop unrefuelled transatlantic crossing by a jet is made by an English Electric Canberra. January 21 1930 - First complete airport lighting system online at Calgary airport. January 21 1921 - The first triple-triplane aircraft, and the first passenger-carrying aircraft designed to carry more than 100 people that actually got off the ground, is launched at Lake Maggiore, Italy. The flight attempt ends in failure when the 55,000 lb. flying boat nosedives into the lake. January 22 1987 - The Massachusetts Institute of Technology (MIT) Michelob Light Eagle, piloted by Glenn Tremml, sets a world closed circuit distance record for human-powered aircraft of 58 km (36 miles). January 22 1952 - The de Havilland Comet 1 became the first turbojet-powered civil airliner to be awarded a certificate of airworthiness. Entered Service with BOAC. January 24 1986 - The American spacecraft Voyager 2 makes its closest approach to Uranus, passing within 50,600 miles. January 24 1978 - Soviet satellite Kosmos 954, with a nuclear reactor on board, burns up in Earth's atmosphere, scattering radioactive debris over Canada's Northwest Territories. Only 1% is recovered. January 24 1932 - French pilots Paul Codos and Henri Robida land in Paris after flying from Hanoi in French Indochina in a record time of 3 days 4 hours. January 24 1920 - First aircraft flight across the Sahara Desert is flown by French Joseph Vuillemin of the A�ronautique Militaire. January 24 1913 - Death of Charles de Ni� Port (Nieuport), French aircraft designer and pilot, co-founder with his brother Edouard of the eponymous Nieuport aircraft manufacturing company, Soci�t� Anonyme Des �tablissements Nieuport in a flying accident at �tampes in France, when their wing-warping device failed. January 25 1912 - Henry Harley "Hap" Arnold sets an altitude record of 4,764 feet (1,452 m). January 26 1953 - The first meeting of the Experimental Aircraft Association takes place at Milwaukee, Wisconsin's Curtis-Wright Field.